Fountains and water features have a high evaporation rate; turn them off when not in use. 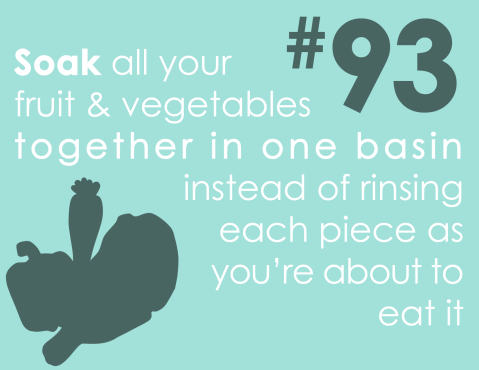 Choose fruit and veg that has been farmed sustainably. 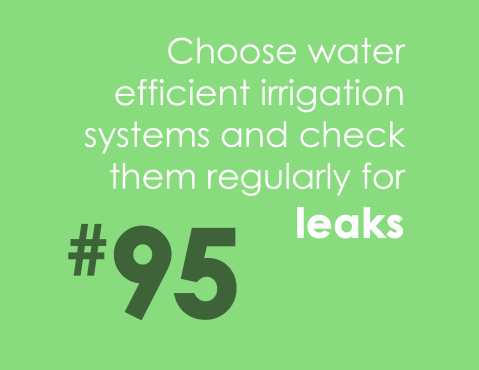 Allowing your grass to grow a little bit longer prevents excess evaporation and reduces the amount you have to water. 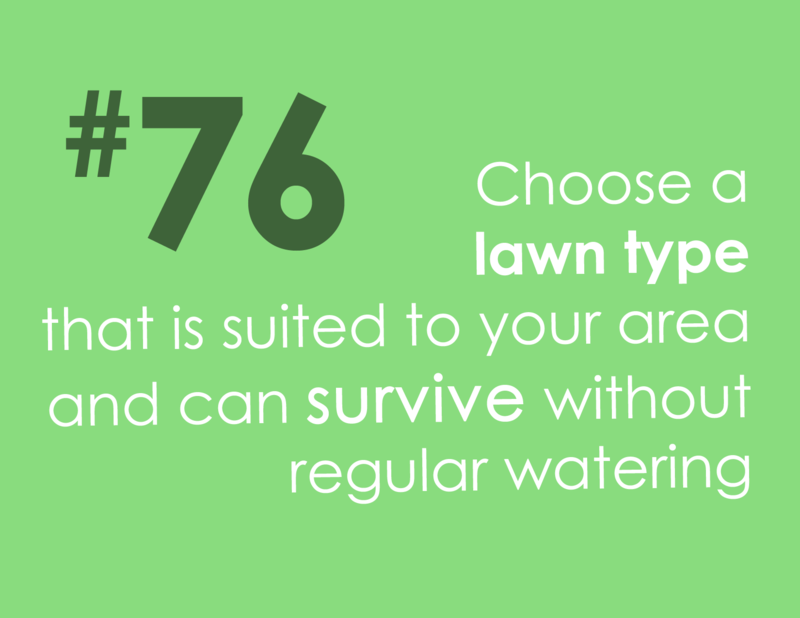 Choose a lawn type that is suited to your area and can survive without regular watering. 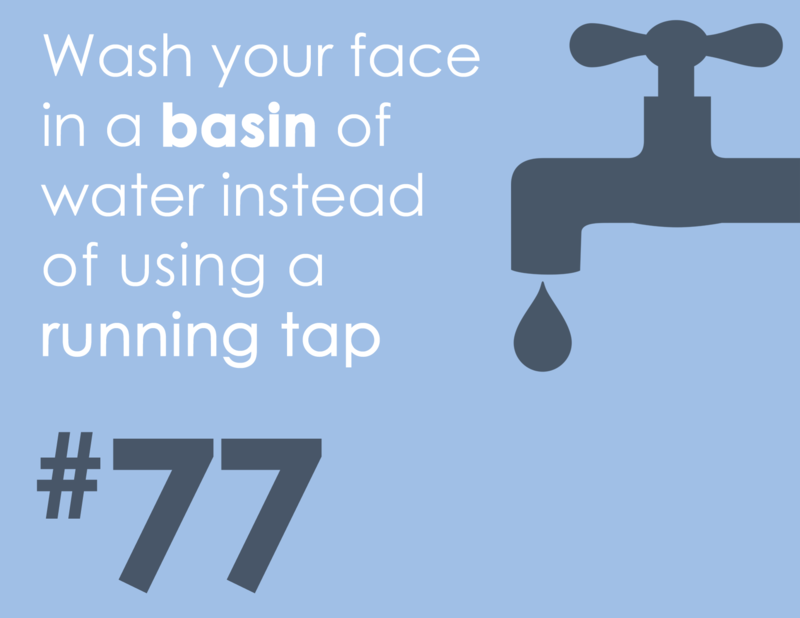 Wash your face in a basin of water instead of using a running tap. 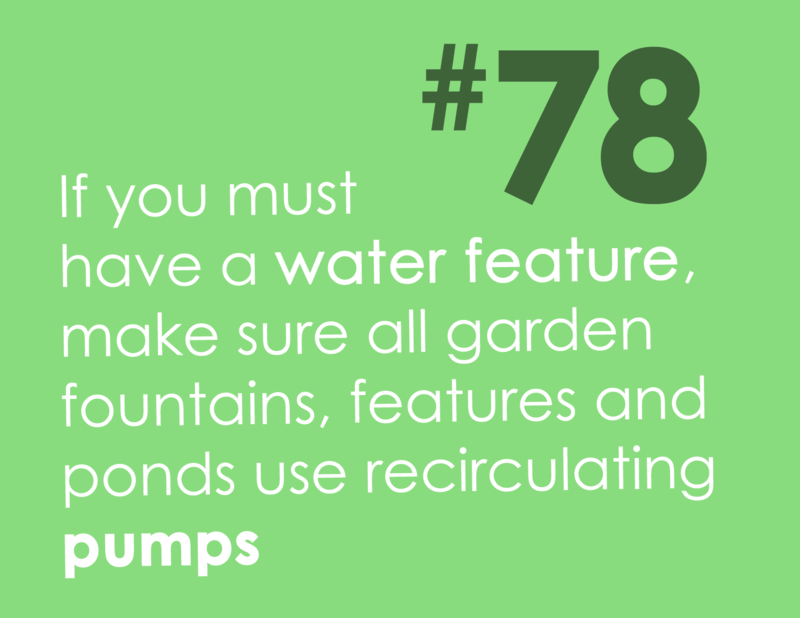 If you must have a water feature, make sure all garden fountains, features and ponds use recirculating pumps. 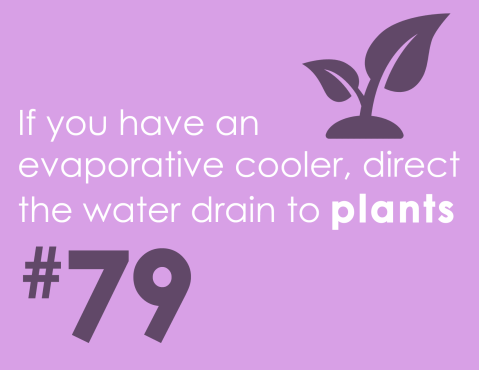 If you have an evaporative cooler, direct the water drain to plants. 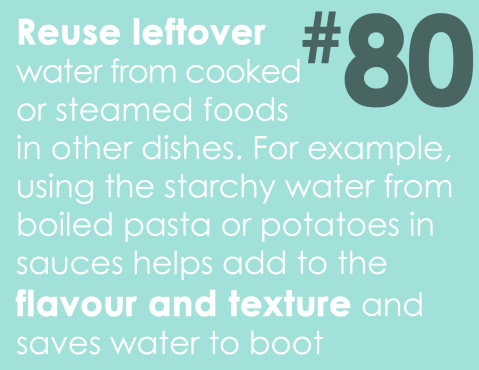 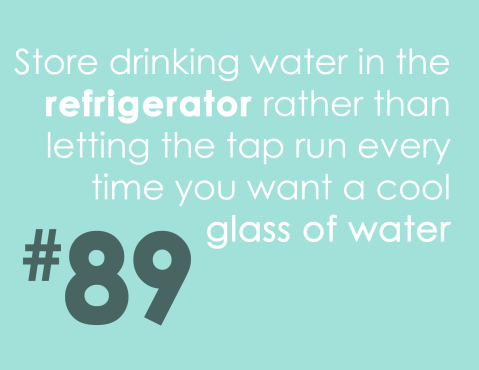 Reuse leftover water from cooked or steamed foods in other dishes. For example, using the starchy water from boiled pasta or potatoes in sauces helps add to the flavour and texture and saves water to boot. 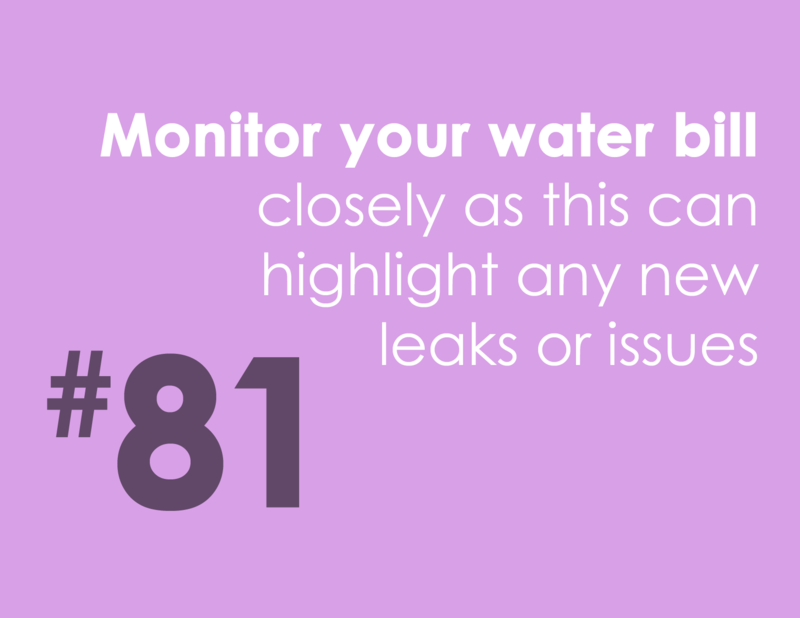 Monitor your water bill closely as this can highlight any new leaks or issues. 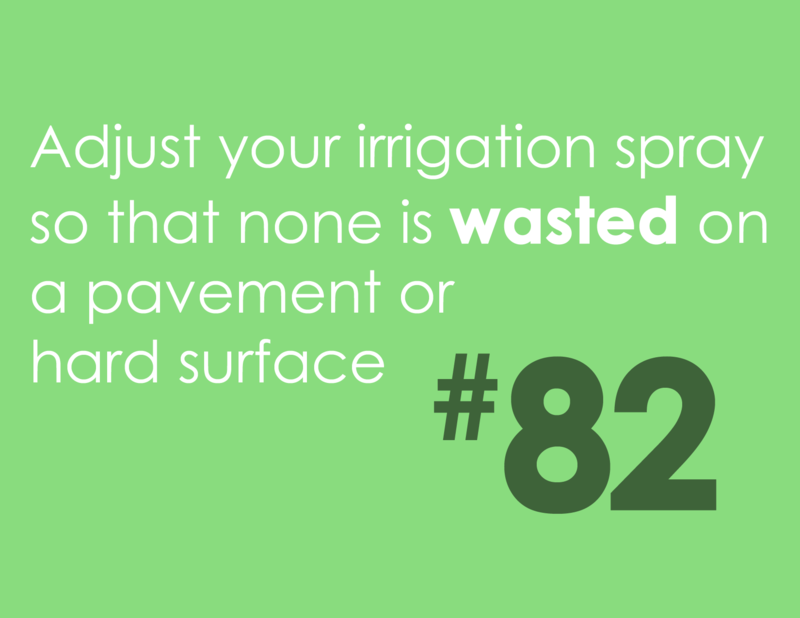 Adjust your irrigation spray so that none is wasted on a pavement or hard surface. 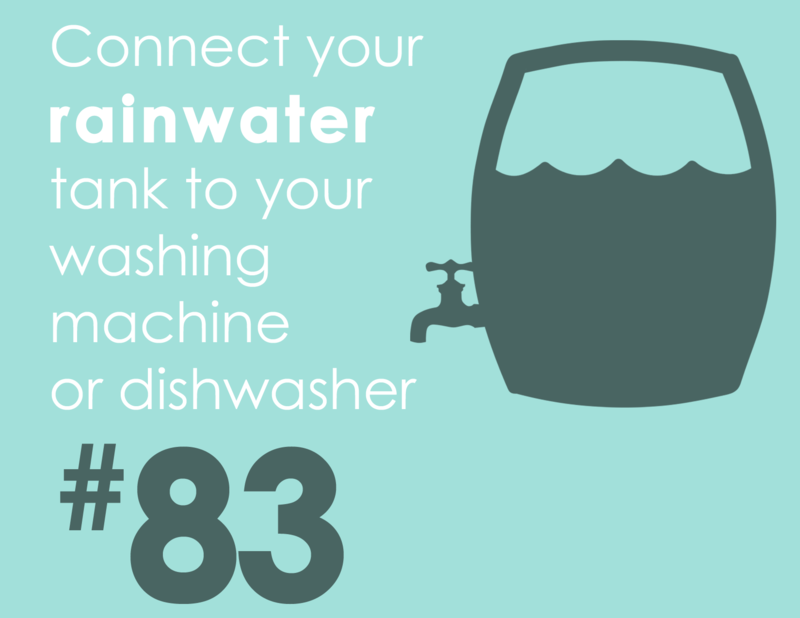 Connect your rainwater tank to your washing machine or dishwasher. 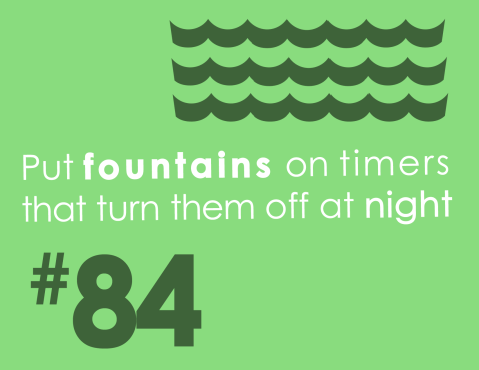 Put fountains on timers that turn them off at night. 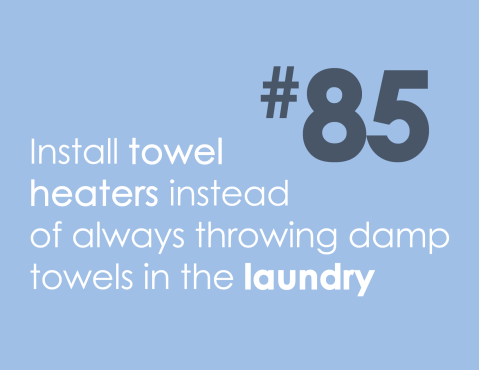 Install towel heaters instead of always throwing damp towels in the laundry. 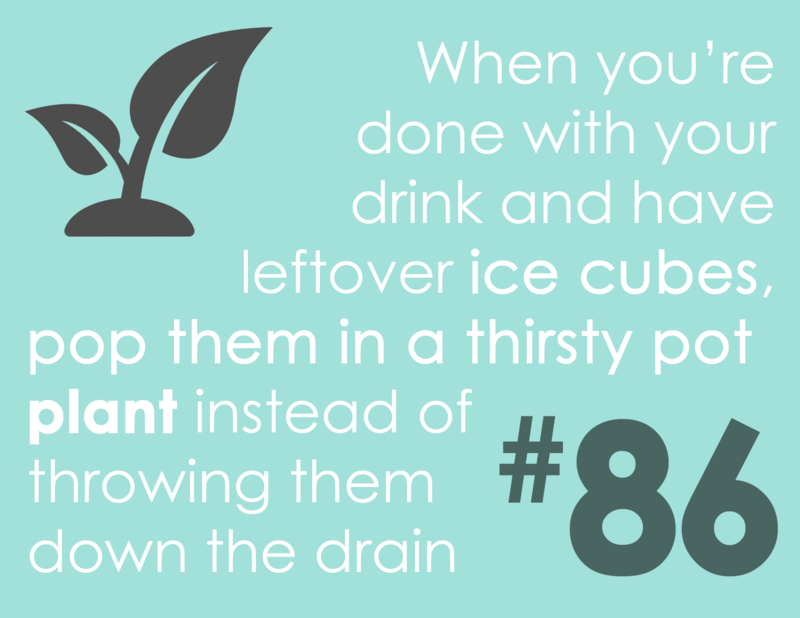 When you’re done with your drink and have leftover ice cubes, pop them in a thirsty pot plant instead of throwing them down the drain. 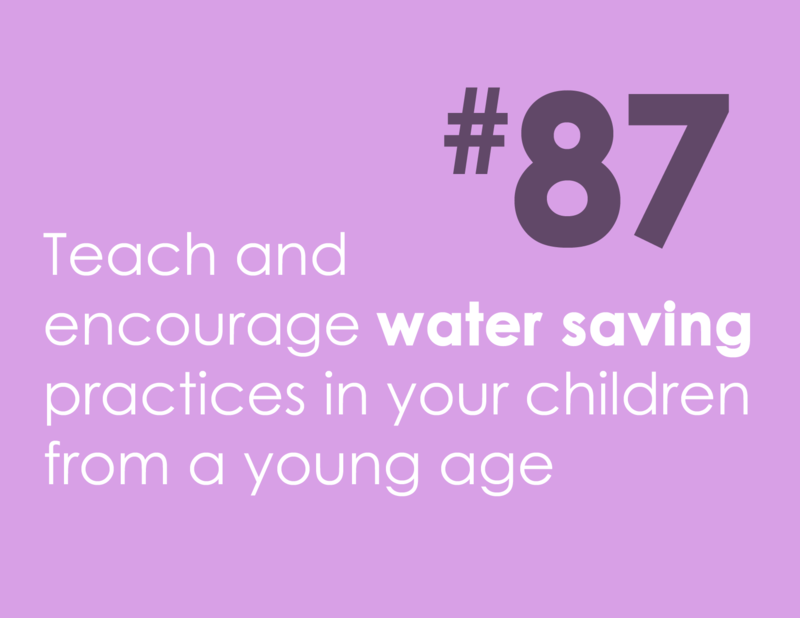 Teach and encourage water saving practices in your children from a young age. 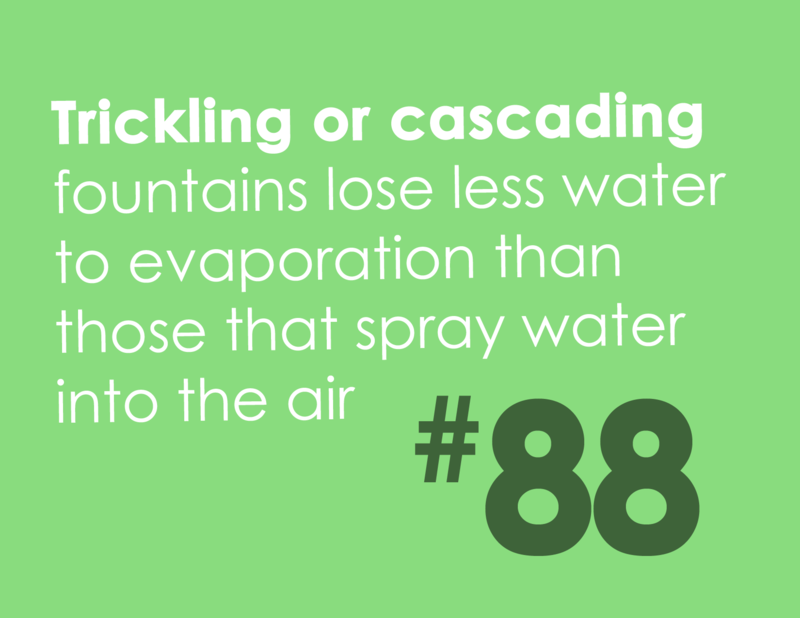 Trickling or cascading fountains lose less water to evaporation than those that spray water into the air. Put pool covers on when your pool is not in use to minimise evaporation. 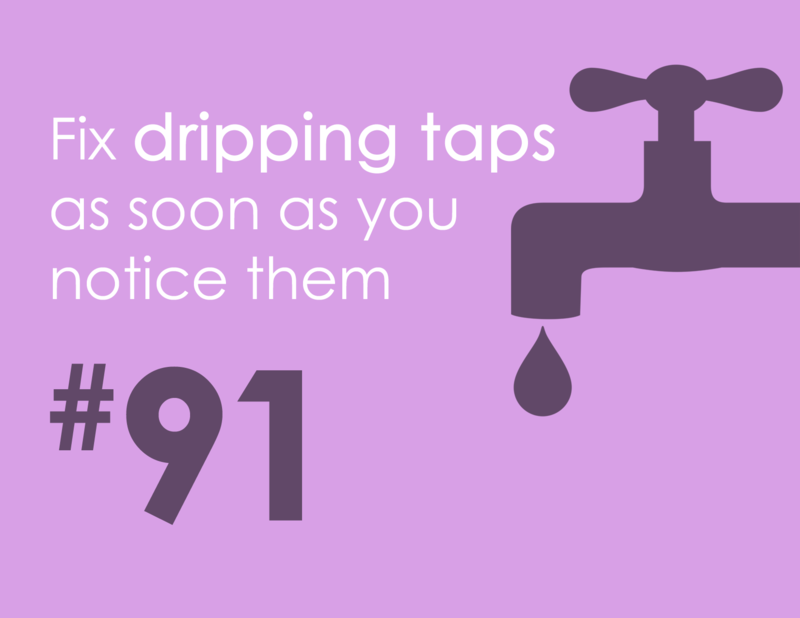 Fix dripping taps as soon as you notice them. 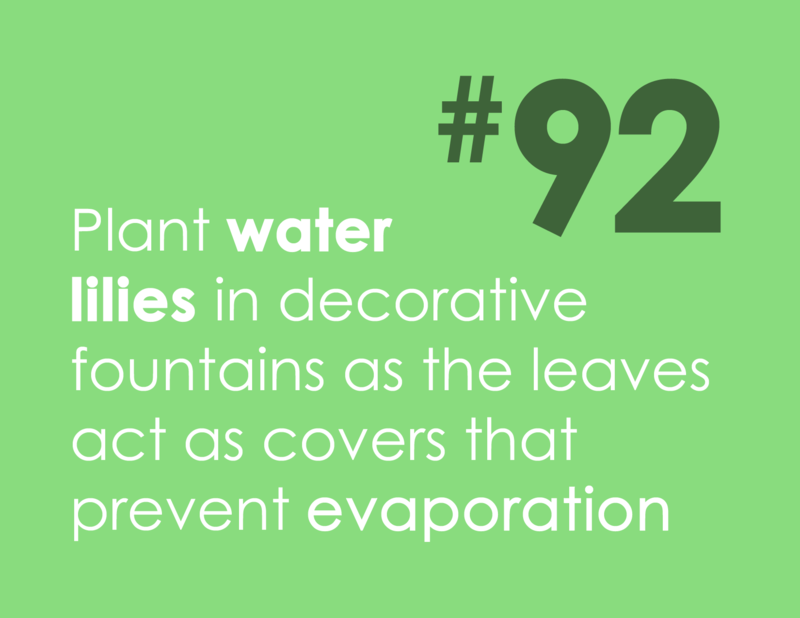 Plant water lilies in decorative fountains as the leaves act as covers that prevent evaporation. Soak all your fruit and vegetables together in one basin instead of rinsing each piece as you’re about to eat it. 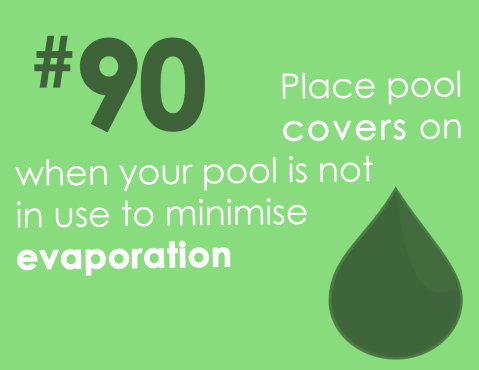 Don’t overfill the pool. 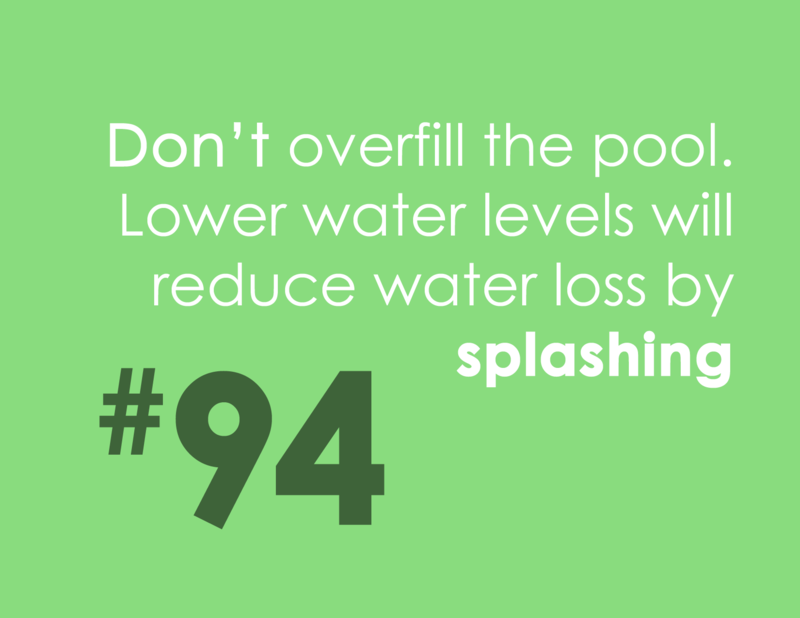 Lower water levels will reduce water loss by splashing. 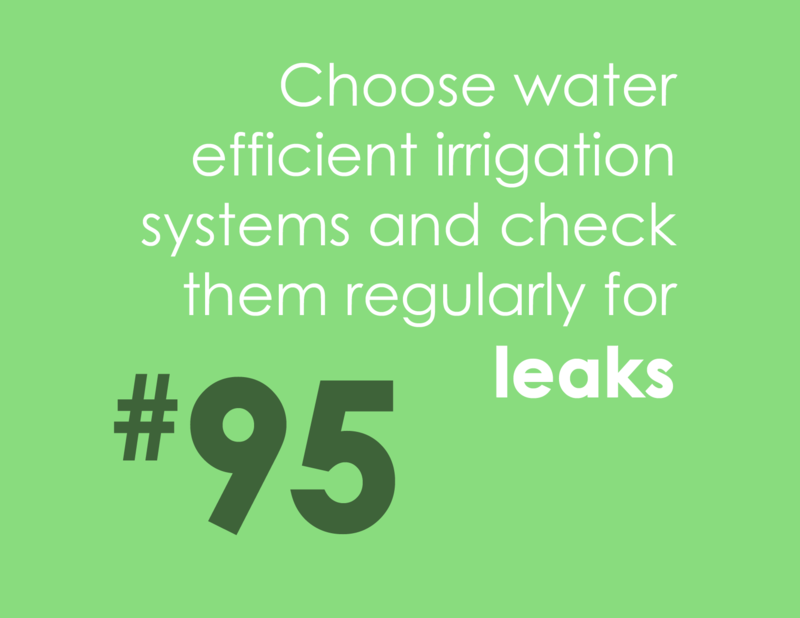 Choose water efficient irrigation systems and check them regularly for leaks. 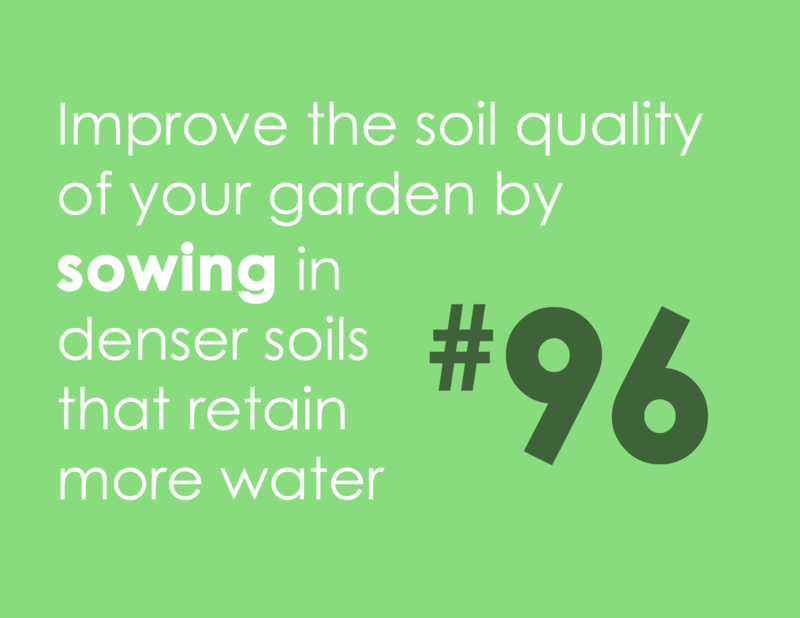 Improve the soil quality of your garden by sowing in denser soils that retain more water. 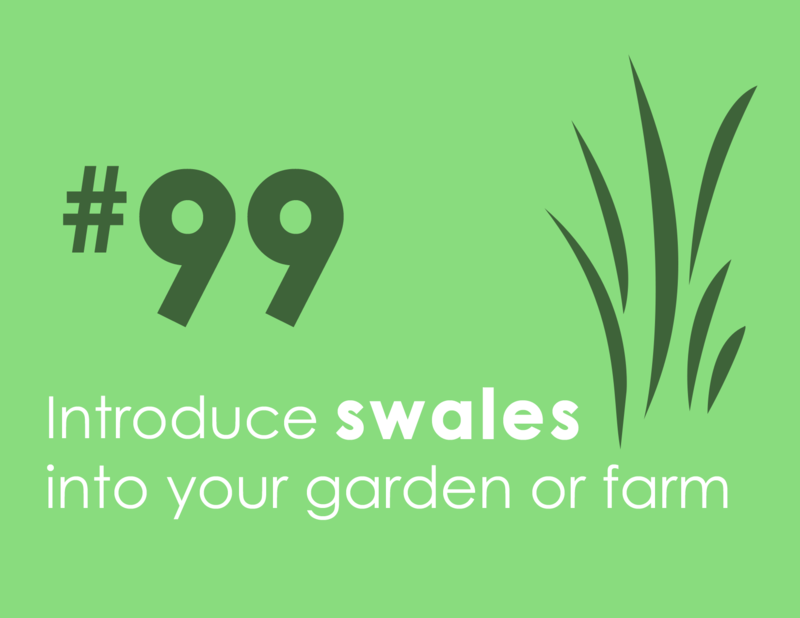 Use decorative pebbles instead of a living ground cover to cover bare soil in your garden. 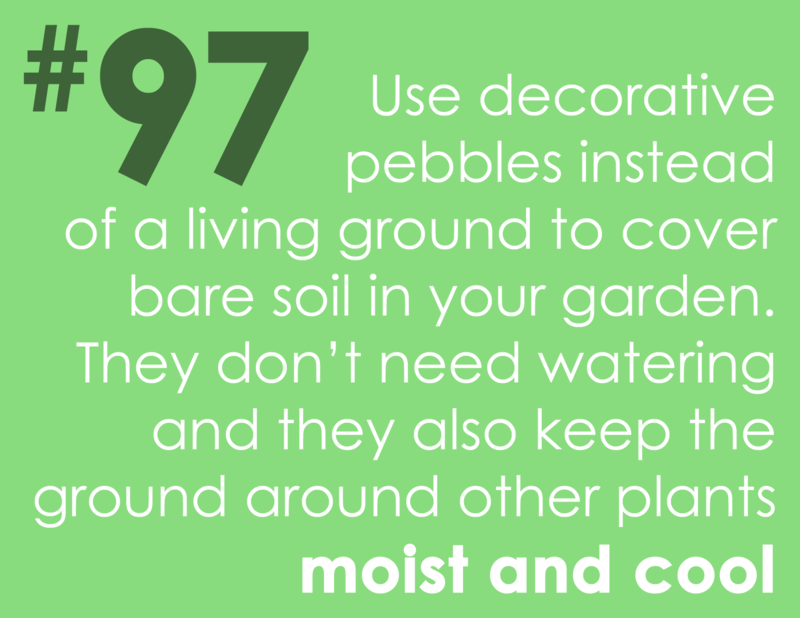 Pebbles don’t need watering and they also keep the ground around other plants moist and cool. 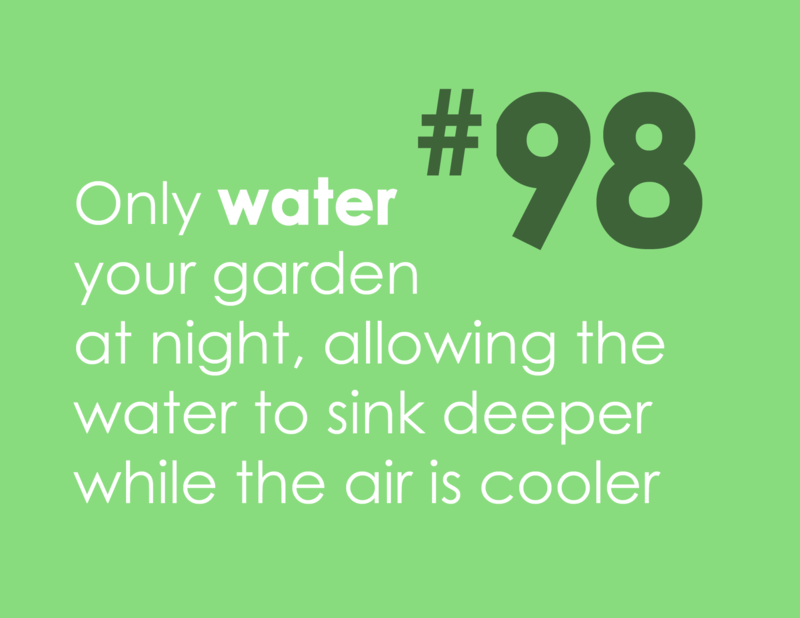 Only water your garden at night, allowing the water to sink deeper while the air is cooler. Introduce swales into your garden or farm. 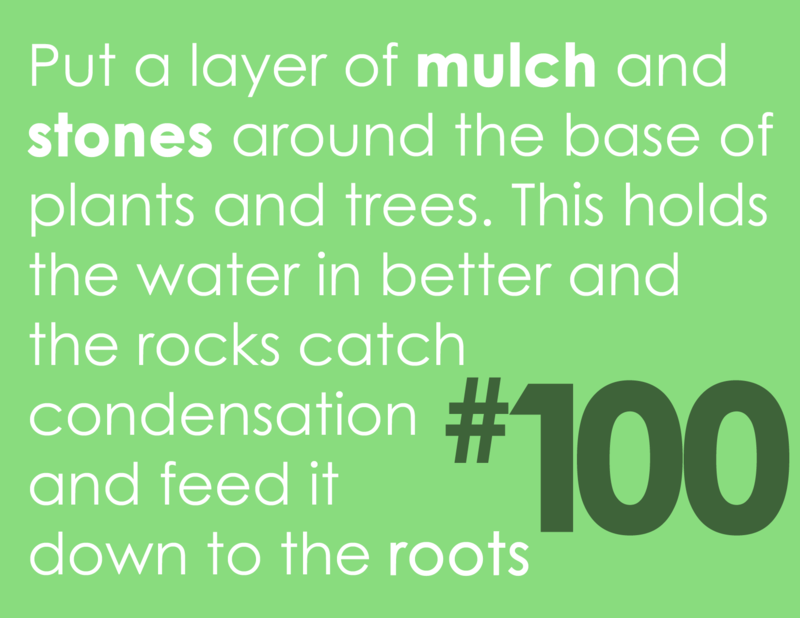 Put a layer of mulch and stones around the base of plants and trees. This holds the water in better and the rocks catch condensation and feed it down to the roots.